Rhonda can make recycling look so classy! Very nice. Wow! 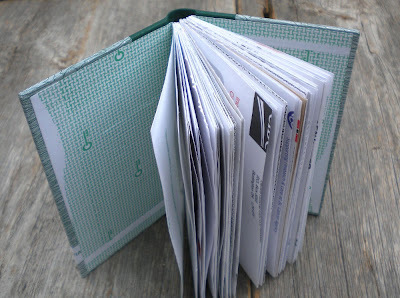 I've seen other books made from recycled envelopes, but you've taken it to another level altogether. 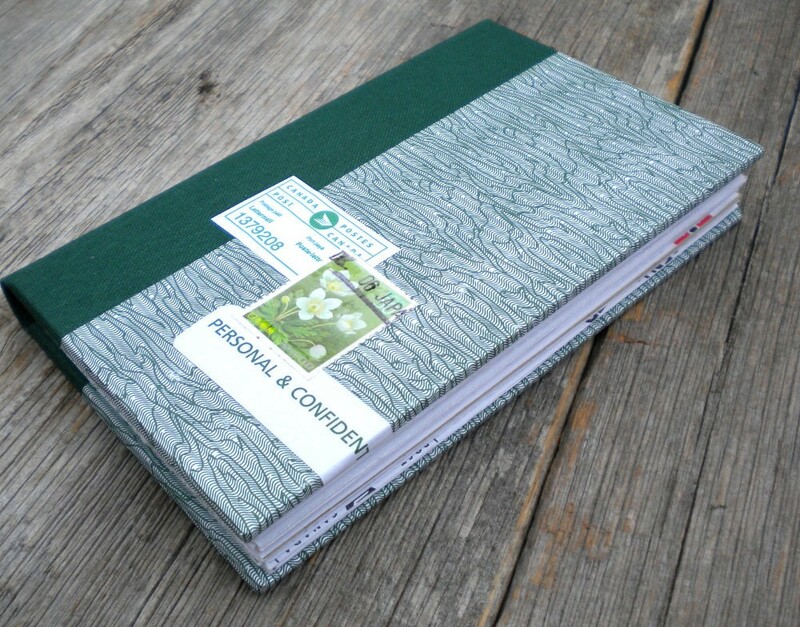 A really smart, cool version of a "Recycled" book! Wow, love this book...the patterns from the envelopes are beautiful! It's totally cool!